Want to start practicing yoga in your life, but not sure where to start? These beginners’ yoga books are exactly what you need to help you get going. Is yoga just another fitness trend that doesn’t actually work? If not, what is even the science behind why yoga is practiced, and praised, by so many? If you are skeptical as to whether or not yoga can benefit you and your life, you might want to read this book for a licensed and certified health and yoga expert’s take on what yoga is and can be, why it helps so many people get healthy and why there is really no reason you should not give the long beloved practice a try. Written by a physician, also an editor of a yoga magazine and a practicing “yogi,” this book gives you all the information you will ever need about the science and practicalities behind yoga, how it works and how to specifically make it work for you. Dr. Timothy McCall explains who can benefit from yoga, why everyone should try to fit it into their lives and how you should practice yoga based on your health status and the current fitness level you are at right now. As long as you abide by the information you are given, you can be sure you are engaging in yoga the way it is meant to be practiced, and for all the right reasons. Have you ever sought out advice on how to do something new, only to find out that the person giving advice is only able to give opinions based on their own perspective? This may be a good starting point, but just because something works for one person does not necessarily mean it will work for everyone, especially you. When it comes to yoga, you need something that will cater to your very specific needs. This book features a collection of teachings from a renowned yogi and his son. 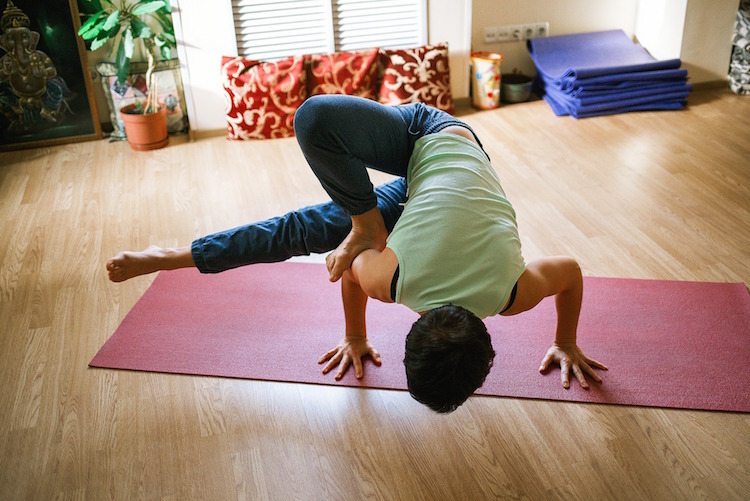 The idea behind these teachings is to personalize your yoga practice. Too often we find information about something we have never tried before that does not apply to us. It doesn’t work with our individualized needs or our schedules or even our personal preferences. Yoga is an individual activity, and therefore, this book focuses on teaching you how to personalize your yoga experience so that you can make it work for you in your everyday life, no matter what else, health or schedule wise, you might have to deal with on top of it. If you are one of those people who would love to be able to make time for yoga every day, but you just can’t, you understand that there just is not always time left in the day for doing what you know would make you feel good. As much as you might love to spend even ten minutes doing yoga in the safety and comfort of your own home, life is busy. Schedules don’t always allow for the kind of flexibility you might need to make this work. So how are you supposed to practice yoga – and often – if you can just never seem to fit it comfortably into your daily life? The author of this book understands that there is not always time to stop what you are doing to make more time for yoga. So the book focuses on how to incorporate the practices associated with yoga, such as relaxation and stillness, into your everyday, daily routine. No matter how busy you are, you can always take a few moments out of your day to feel and appreciate the various things around you. This book will teach you that you do not need to go on a retreat or stop your whole life just to do yoga. Yoga can be whatever you want it to be, can be done anywhere, any time. Yoga instructors and practicing yogi friends are great when you want to start a yoga routine all your own, but what if you’re at home trying out a few new positions and it just doesn’t seem right? You could always refer to the modern yoga reference book for both inspiration and information whenever you need it. This is the ultimate beginner’s guide to everything you wanted to ever know about yoga, from history to specific instructions and detailed illustrations of all the correct ways to perform different positions. You can refer back to this book if you are ever unsure about anything you are doing that is yoga related. That’s why it’s called a yoga bible. Part of the practice of yoga is realizing that life has its ups and downs, and it is important that you find your best way of coping with that. Things are not always going to go the way you hope they will, and if you cannot learn to go with the flow and accept that there is no escaping from life’s challenges, things are going to be a lot harder for you than they need to be. This book will teach and consistently remind you that the point of life is not to run from the things you cannot control, but instead to embrace life for what it is, whether things are just not good or they seem to be looking up. However you cope with the twists and turns in life, this book will help guide you through the best ways to get through the best and worst times of your life. The wisdom of these authors will help you begin to reap all the benefits yoga has to offer you.